Elvis’s personal physician, George Nichopoulos, prescribed Elvis a cornucopia of uppers, downers, and narcotics over the 10 years he treated The King. Dr. Nick, the namesake for the Simpsons character, is increasingly considered responsible for Elvis’s death, at least by fans. 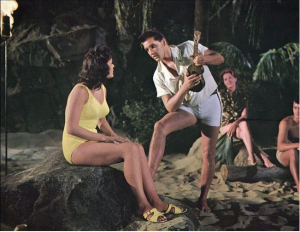 He prescribed Presley 10,000 doses of narcotic medications in the year of his death. Among other medications, Elvis took amphetamines when he woke up to kick start the day, and tranquilizers at night to help him sleep. The sense that Nichopoulos was at fault culminated when someone shot at him during a football game in 1977, a month after Elvis’s death. Nichopoulos lost his license in 1995 and passed away in 2016.